National Geographic and Bradley Hague hit it out of the park with this book. Not only does the book provide an age-appropriate look at an animal food chain but also a case study of a real life ecosystem. The story explores a Zambian national park on the Liuwa Plains, where due to years of over the border warfare and unrestricted poaching, the ecosystem has been devastated. An area that used to be flush with wildlife now requires human help to repair itself. Thanks to the efforts of scientists, government officials, and local park rangers some animals are returning to Liuwa Plains helping to restore a natural balance. The focus is on the almost complete disappearance of lions. At one point, Lady the lioness was the last surviving lion in the whole area, but thanks to the hard work of scientists, rangers, and the local people, that is no longer the case. But while progress has been made, there is still a long way to go to repair the extensive damage that people have done. 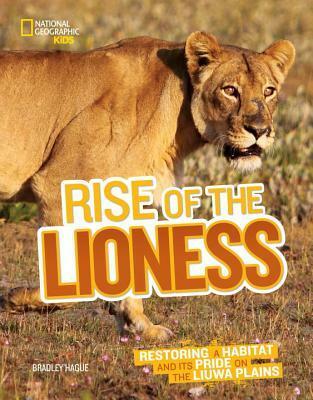 Composed of very readable text, interesting diagrams, and gorgeous photographs, Rise of the Lioness, makes for an interesting read for young animal lovers or in science or geography classes where ecosystems are studied. Sure you know that T-Rex was the meat-eating king and that brontosaurus munched on leaves, but what else was on the dino dining menu during the Mesozoic era? In this hilarious book, paleontologists reveal all! Meet the 'vores: carnivores, piscivores, herbivores, insectivores, "trashivores," "sunivores," and omnivores like us. Readers will be surprised and inspired to learn about all the crazy stuff dinos ate and they'll get insights into how scientists can tell which dinosaurs ate what just from looking at fossils! 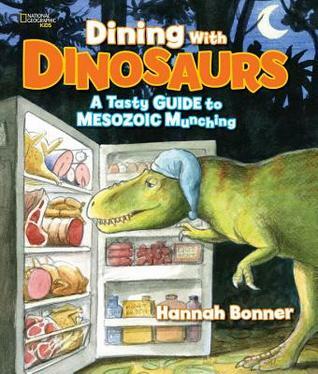 Journey through artist and author Hannah Bonner's whimsical world to learn how the dinosaurs and their contemporaries bit, chewed, and soaked up their food. Not only does Dining with Dinosaurs present the different types of 'vores (carnivores, herbivores, etc. ), but it also introduces a lot of different types of dinosaurs. While there are many familiar animals mentioned in this book, there are also plenty of new ones such as microraptor, Sinobaatar (mammal), Cretorabus (beetle), Carnotaurus, and Citipati. Each type of eater is given a two page spread that highlights features of those animals and what they ate. Each spread also includes a mini-comic that looks at specific questions about dinosaur dining. Plenty of humorous references and illustrations add to the book's versatility (the cover kind of gives away the fact that their is humor in this book). 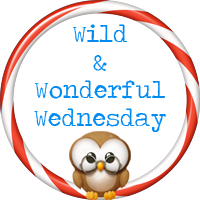 The fun format of the book makes it browse-worthy for reluctant readers. And with dinosaurs being an always popular topic, it's safe to say that this will be a book that is thoroughly enjoyed by young readers.